This week I am working on another quilt top for Covered in Love, a scrappy orange quilt called Orangeade. Hope you are sewing, too! 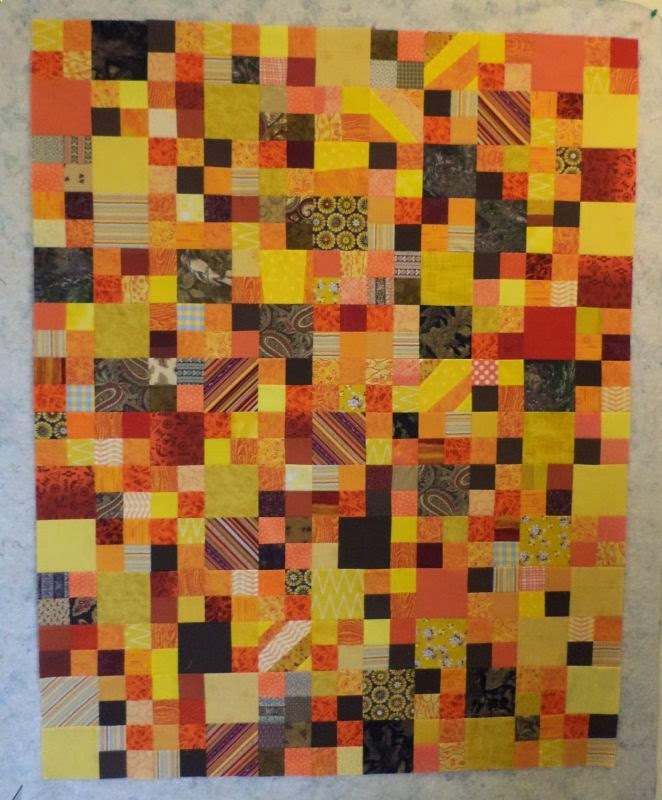 I recognize some of those fabrics :D LOVE orange and this quilt is awesome!! LOVE it! I'm really getting into orange recently, and this seems to be a really good combination of colours so that it is not too in-your-face and overwhelming (which orange can sometimes be), but still bright and lovely. Great job.